This entry was posted in Uncategorized on September 29, 2017 by mjnrootdig. This portal on the website of the North Carolina Department of Natural and Cultural Resources has city directories from 121 North Carolina cities. Thanks to Miriam of Ancestories for sharing this reference. This entry was posted in Uncategorized on September 28, 2017 by mjnrootdig. 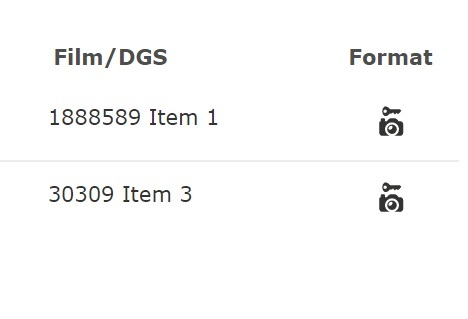 The “format” icon with a key above the camera indicates that a digital image is available, but online access is restricted. As shown below. There is never a charge to use a family history center or affiliate library. The camera without the key above it indicates that digital images are available to anyone accessing the internet. This roll of film has an index as well–indicated by the magnifying glass. 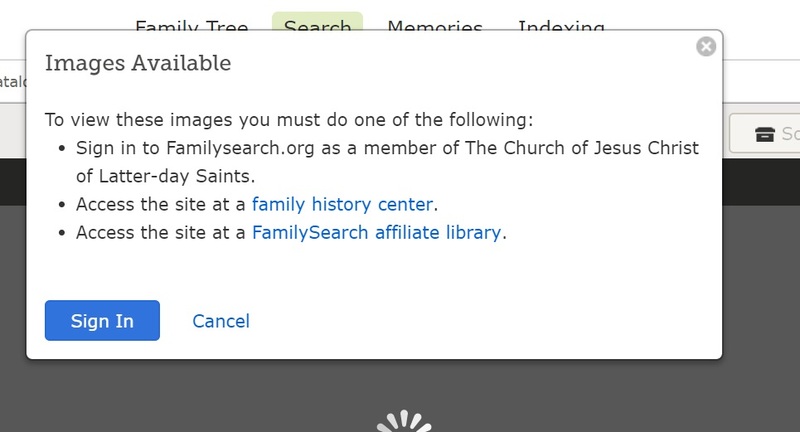 The camera with the “screen” behind it indicates that digital images are available at a “partner site.” The partner site images can be accessed at a family history center or FamilySearch affiliate library–or through a personal account to the site. Partner sites are usually commercial companies to which private individuals can subscribe. This entry was posted in Uncategorized on September 25, 2017 by mjnrootdig. This set of images of west-central Illinois historical society newsletters is hosted by Western Illinois University in Macomb,Illinois. This collection features Historical Society newsletters from the west-central Illinois counties of Hancock (1987-), McDonough (1982-) [including Colchester Area Historical Society (1995-)], Rock Island (1966-), and Schuyler (1969-). This entry was posted in Uncategorized on September 17, 2017 by mjnrootdig. This set of approximately 800 digital images documents a variety of scenes along the CBQ (Chicago, Burlington, and Quincy) Railroad. Newspapers used to request that out-of-town newspapers copy certain news items that involved former residents. 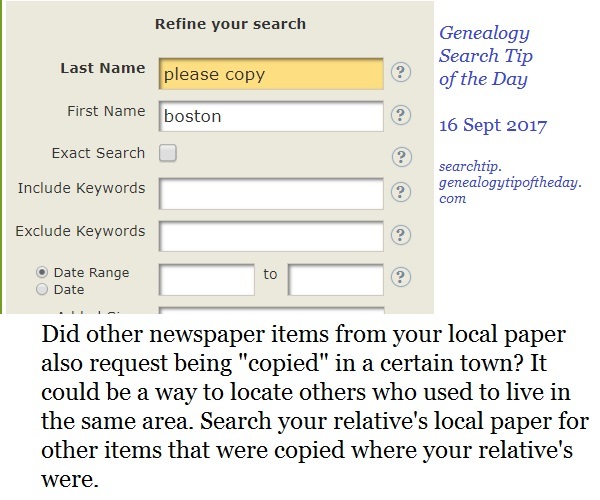 If a newspaper requested an item on your ancestor be copied by other towns search to see if they also requested those towns copy items on other residents. It could be a clue as to who traveled with your ancestor. This entry was posted in Uncategorized on September 16, 2017 by mjnrootdig. 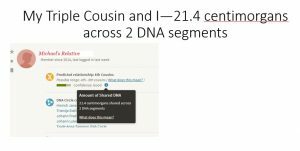 My triple cousin doesn’t match with me as much as I thought she would….see why. We focused on the matches–analyzing, understanding, and organizing. I even made some headway on a few of mine while creating the PowerPoint slides for the presentation. Our presentation is laid back. There’s not a lot of chit-chat and we focus on being practical and being as technical as necessary without making attendees feel like this was a biology lecture or a math class. More details are on our announcement page. If you registered for the live session, please email me at the address in your registration receipt for fastest response. Thanks! We’re looking forward to continuing more presentations in this series.